Despite its name, burnt sugar is not actually burnt—in fact, when making it, you have to be careful not to overcook it. Similar to making caramel, burnt sugar is the caramelization of sugar to produce a very deep, rich, brown-colored syrup. It is used to flavor and color many dishes in the twin-island Republic of Trinidad and Tobago but is also a part of certain American recipes. Recipes for burnt sugar can differ (some include vegetable oil, some water, some just sugar) depending on how it is used in the recipe, but the technique is basically the same—cooking sugar until it melts, stirring constantly, and continuing to cook until it turns a very dark brown. There is a very slender margin of time at which the burnt sugar is at its right stage. To miss this margin of time would result in the sugar being literally burnt, where it will turn black and bitter. When this happens, it is best to dump that batch and start all over again. If you add it to the recipe, the dish will have a darker than desired color and notes of bitterness. In many Trinidadian recipes, burnt sugar is often the base of many dishes. The Trinbagonian iconic dishes of pelau (pigeon peas, rice, and meat or chicken cooked with coconut milk) and brown chicken stew are both flavored and colored with burnt sugar. Each of these dishes starts with the base of burning the sugar, sometimes in vegetable oil, and then the remaining ingredients are added and cooked in the burnt sugar. When incorporated in a dessert recipe, however, a burnt sugar syrup is made. This entails cooking the sugar down until it melts and turns dark brown, then adding hot water off of the heat, and cooking again until the water is incorporated and the mixture is smooth. This syrup can be part of a cake, such as in burnt sugar cake, and some people even add it to their traditional Christmas black cakes (popular in the Caribbean) to make them darker. 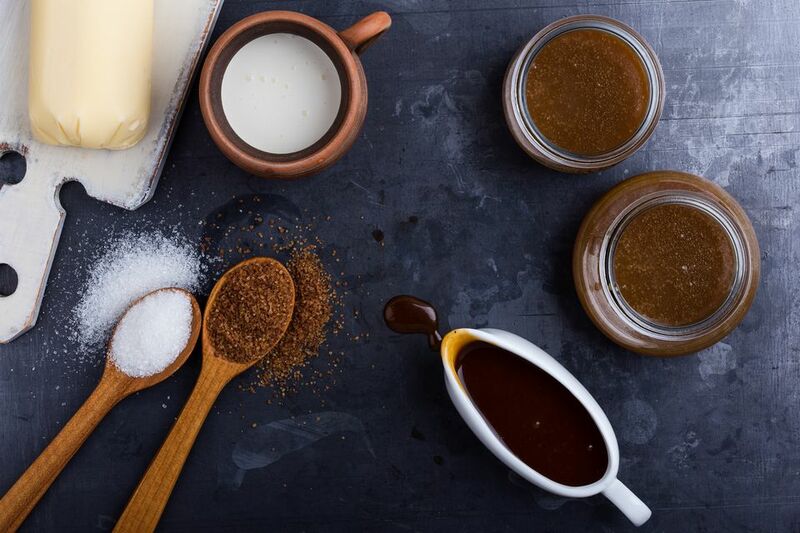 Burnt sugar is also simply used as a dessert syrup drizzled over pound cake, cheesecake, or ice cream. The burnt sugar syrup can even add flavor to a cocktail like an old fashioned, or be poured into an iced coffee for an unexpected touch. You can also consider substituting burnt sugar for molasses in certain recipes. Burnt sugar gives a unique and delicious taste to food; however, it takes practice to get the burning of the sugar just right. It is always advisable to practice burning the sugar a few times—or to watch someone who is adept at doing it—before attempting to make any of the dishes in which this sauce is the base. Another must is that you add hot or boiling water to the melted sugar—cold or cool water will cause the mixture to splatter and can potentially burn you.